Mommy, Esq. : Some Bunnies Love You! So frickin' cute! 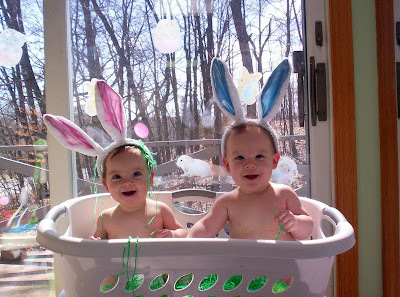 Happy Easter, Ned and Penny! Those smiles! So adorable! Happy Easter! I may faint from the sheer force of their cuteness. That picture's a keeper, for sure! cutest pic ever, by the way. Super super cute. Love the smiles.